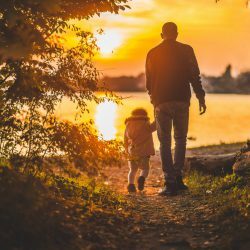 Shared parenting following divorce is not always easy, but it gives your children the opportunity to stay connected to both parents they love through the remainder of their childhood. It is the responsibility of both parents to ensure that your child complies with the scheduled time in your parenting plan. But forcing compliance is not the clear solution, especially long-term. From a Child-Centered Divorce perspective, I suggest you put your time and attention into understanding what’s going on with your children, especially when they don’t want to comply with parental visits. What makes a child resist visitation with their other parent? Are they feeling guilty or disloyal when leaving one parent? Have they been privy to information, slurs or other comments that make them dislike the other parent? Has the other parent been mistreating them or disciplining them in a different way than the preferred” parent? Was their relationship or communication with the other parent weak or limited prior to the divorce? Are they holding the other parent responsible for the divorce or its outcome? Any one of these factors can influence a child’s decision regarding visitation and needs to be addressed. In many cases the parents can resolve the problem by discussing the issues together or with the guidance of a therapist or mediator. Are you co-parenting respectfully with one another? Are you sending mixed-messages to your kids about their other parent? Could you be showing signs of depression or neediness or talking about missing the kids so much that they are afraid to leave you? In other cases it’s essential to sit down with your kids to find out what their feelings are. Have they been comfortable in both homes? Are the rules in each home too different or even conflicting? Have outside issues such as getting to school on time, bullying friends, bothersome neighbors or other challenges affecting their well-being? 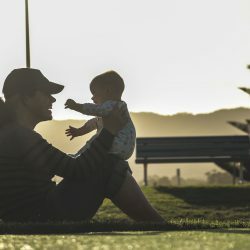 Are your children afraid of spending time alone with one parent? And if so, why? Seeking the advice of a professional counselor or divorce coach can be useful for parents in uncovering the motivation behind children’s behavior or anxieties. In addition, kids will often tell a child-psychologist secrets” they’re not comfortable telling Mom or Dad. Listen to your children without judgment or lecturing. That only puts them on the defensive and stops the flow of communication. See if a family meeting to resolve issues together will work. When everyone contributes to and agrees on new rules they are more likely to be followed. While visitation issues can become a legal matter, it’s essential that parents be pro-active in a non-legal ways as well. It’s much easier and saner to handle issues related to your children within the family than by giving up your power to judges and courts, when avoidable. Get the help you need from caring professionals who embrace the child-centered divorce philosophy and address these issues as soon as possible. Your children will appreciate your care and loving attention. Hopefully, everyone in the family will benefit and visitation issues can be resolved harmoniously for all concerned.